The other day we were headed to a play date with two good friends who also love to craft and we wanted to bring something fun to do. 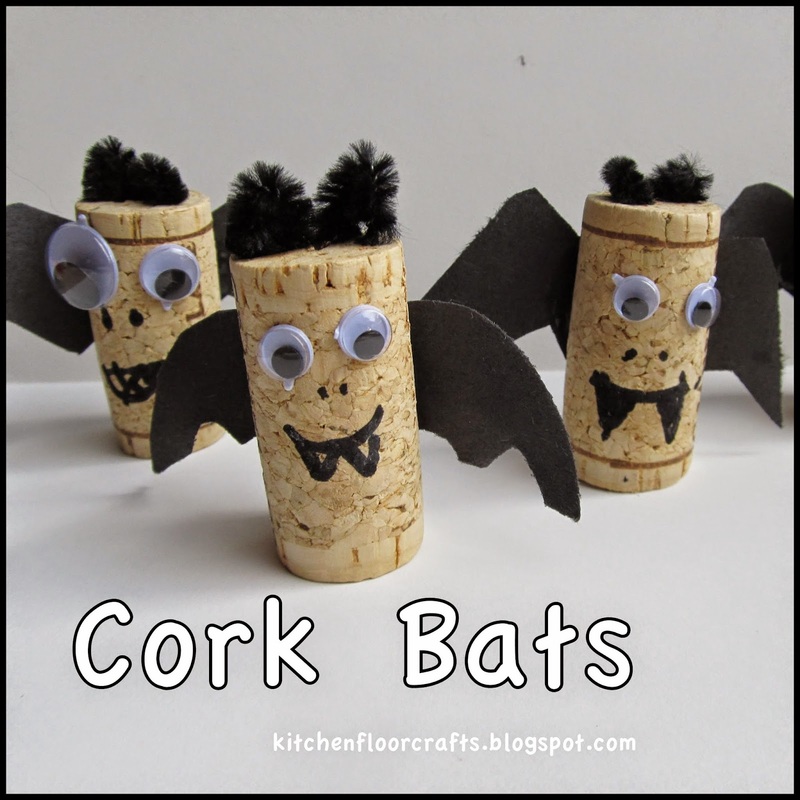 We quickly put together this fun cork bat craft, which is perfect for October and was easy to assemble. The kids (ages 4, 5, and 7) were able to do almost all of the work themselves, which made them all feel really proud of their creations. 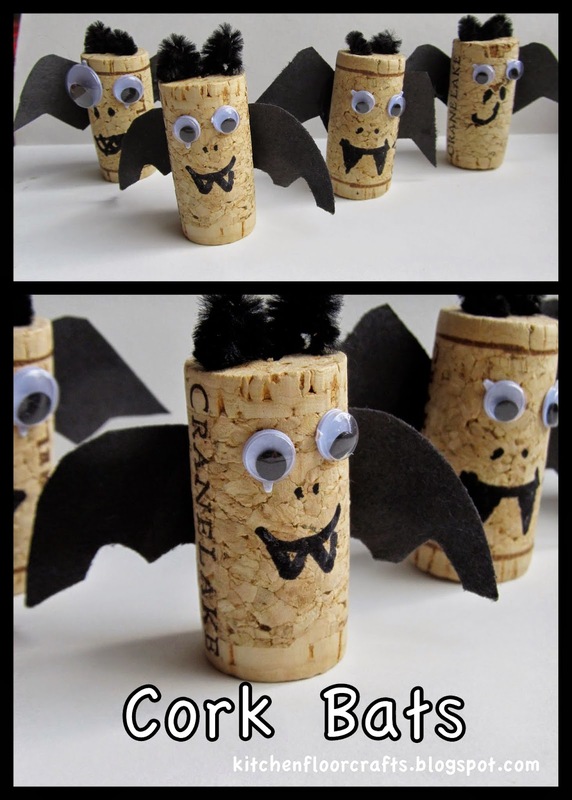 The materials were pretty simple: corks, bat wings cut out of construction paper, stick on googly eyes, black pipe cleaners, white glue, and permanent marker. 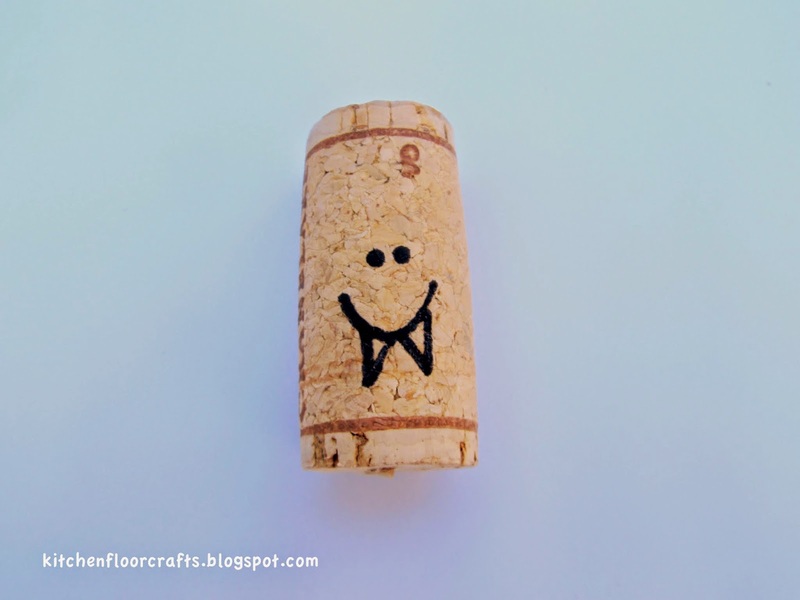 First we drew a mouth and two nose dots onto the cork with permanent marker. Afterwards we used a small amount of white glue to add the wings to the back of the cork. For each bat we cut two small pieces off the pipe cleaners and folded the pieces into a small triangle or point. We pushed the metal ends of the pipe cleaners into the tops of the cork. Ours went in pretty easily, but you could use a tooth pick to make a small hole first if needed. Finally we added the self-stick googly eyes to the front of the bat. When we lined all the bats up together we could see how they were all a little different, but they looked great as a crowd! An easy and fun October craft to start getting things decorated for Halloween!